PerkinElmer has more than 150 tested automated methods available for the most frequently used NGS library prep kits. 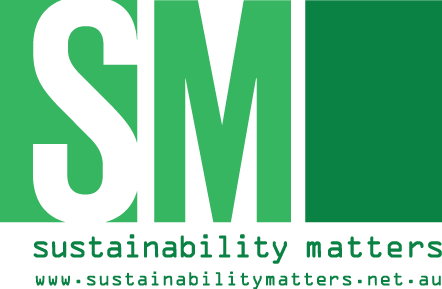 This library of standardised and tested automated methods offers flexibility in the choice of kits to suit different applications. Together with the PerkinElmer suite of automated liquid handling solutions optimised for NGS applications, the library provides the ability to adapt to users’ requirements. PerkinElmer offers a suite of liquid handlers providing laboratories the flexibility of choosing an automation solution based on their throughput needs. NGS applications automated on the JANUS G3 NGS Express workstation for low-to-moderate throughput include — library preparation, amplicon preparation, target capture preparation and sample normalisation. 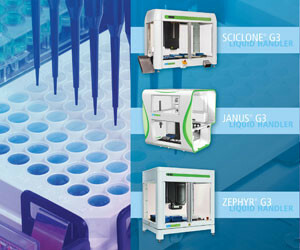 The Zephyr G3 NGS workstation is a benchtop liquid handler designed to automate the construction of 48 to 96 next generation sequencing (NGS) libraries per day. Over 40 automated methods are currently available on this platform including qPCR set-up, Post PCR SPRI purification and indexed library pooling just to mention a few. 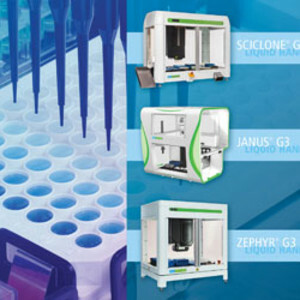 For laboratories that require high-throughput capabilities, the Sciclone G3 NGSx liquid handling workstations offer walkaway NGS library preparation. With over 88 automated library prep, sequence capture and normalisation protocols currently developed for use with this NGS workstation, the time and effort associated with protocol automation is greatly reduced. The products are designed for research use only, not for use in diagnostic procedures. I am interested in PerkinElmer 150+ automated methods for NGS .